Colonial Clinic's clients have better treatment experiences and outcomes for six important reasons. When trying to overcome chemical dependency, it helps to work with people who understand what it means to be addicted. Most of our staff are in recovery themselves. Your counselor facilitates both your group and individual counseling sessions. Colonial Clinic believes intensive Closed Group Therapy, together with family and individual counseling sessions, leads to a better outcome for people struggling with drug and alcohol addiction. 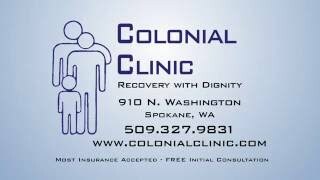 Colonial Clinic is an outpatient alcohol and drug treatment center in Spokane, WA. We use a special closed group system to foster trust, accountability, and friendship. For more than 30 years, we have been separating addicted people from addictive substances through Closed Group Therapy, Intensive Outpatient (IOP) therapy, professional counseling, a parallel family program, and educational seminars. We are dually licensed and certified in the State of Washington to treat both Chemical Dependency and Co-Occurring Mental Health conditions. Chemical dependency is also known as alcoholism, drug addiction, or Substance Use Disorder. Fortunately, it is one of the most treatable of all chronic diseases. However, most people cannot stay abstinent on their own. This is the very nature and definition of addiction. 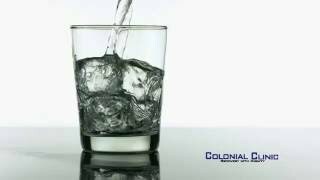 The counselors at Colonial Clinic have a deep understanding of addiction because most of them are in recovery themselves. Call us today at (509) 327-9831 to learn more about our Spokane, WA, alcohol and drug treatment programs and to schedule a free initial consultation.